Tom Cruise seems to outdo himself stunt-wise with every movie, but his latest for the drug cartel thriller American Made is simply off the charts. 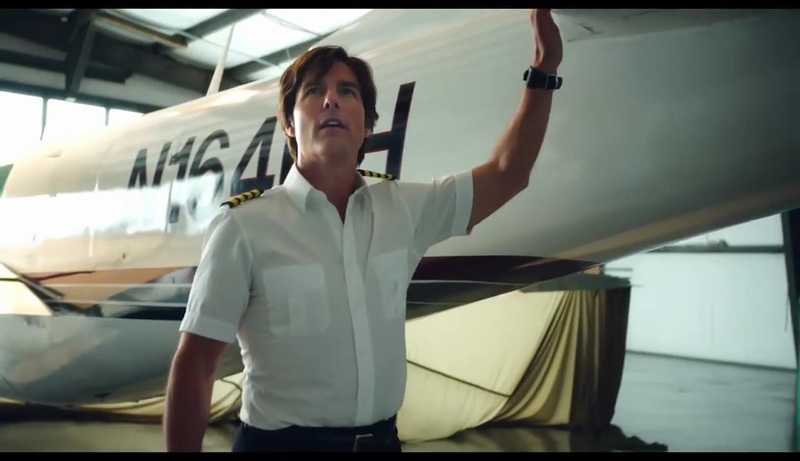 In American Made's recently released `Crash Featurette' below, Cruise lands a light plane full of cocaine – all by himself -- in the middle of a street in Atlanta. Cruise has been known to insist in doing even the riskiest stunts himself, in order to help each stunt sequence look more authentic to the audience. "It can be pretty hair-raising - flying extremely fast, small airplanes, low to the ground, is a dangerous environment to be in just on its own,” American Made director Doug Liman tells Yahoo. Opening in Philippine cinemas September 13, American Made is based on the outrageous (and real) exploits of Barry Seal (Tom Cuise), a hustler and pilot unexpectedly recruited by the CIA to run one of the biggest covert operations in U.S. History. Once the hotshot airman gets caught up in a shadowy division of the government—running crates of AK-47s and kilos of cocaine—he makes a fortune as a key player in the Iran-contra affair. From trading arms for hostages to training forces of Central and South American kingpins, Barry becomes an improbable hero working against the system. So, how does he sleep at night? It’s all legal if you do it for the good guys.